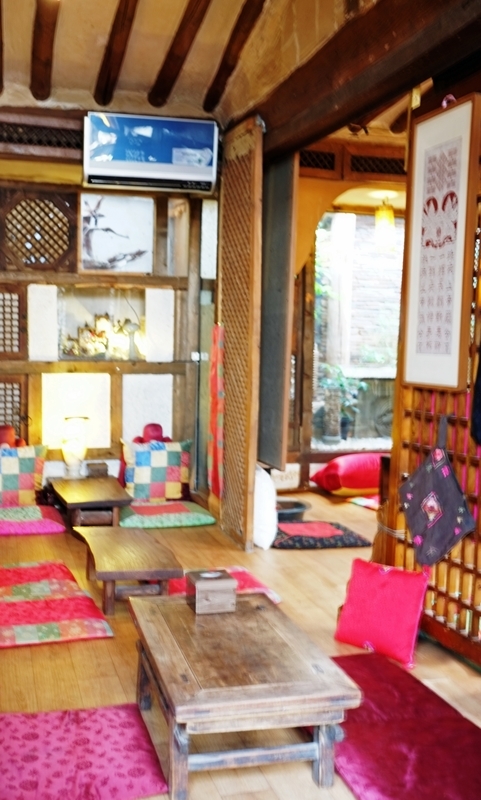 This week we’re enjoying a tea ceremony at Shin Old Tea House, a one-hundred-year-old tea house in the Seoul neighbourhood Insadong. Welcome to week 302 (11/17/2016) of Travel Photo Thursday. This was a free tour offered by the Seoul Women’s International Association (SIWA). SIWA provides a variety of tours (some free/some paid). If you’re planning a trip to Seoul, have a look at their website to see what tours they are offering when you’re in the city. I’ve gone on a few of their excursions, and they are always fun and informative. 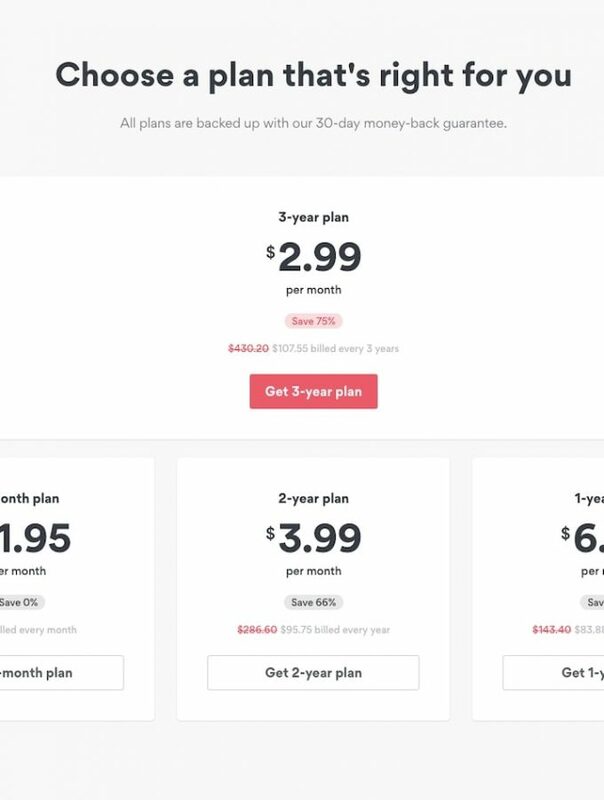 You don’t have to be a member to take a tour. Now, onto the tea ceremony. Kyunghee, a SIWA member, performed the green tea ceremony and here she is getting ready to bow before she begins. We learn that there are three sizes of tea leaves, and Kyunghee recommends the medium. Earlier this year I attended the Boseong Tea Festival and had a fantastic time processing my own tea leaves. If you missed that post, here it is. This is the first pour of the tea ceremony. Notice the piece of wood behind the little plates. That is a tea leaf scoop, and we used one full scoop. The tea is always poured into a serving bowl, and then into the cups. This scoop of tea leaves is good for between seven and nine pours. The second pour is the best. Notice here how the spout on this teapot is very long. According to our hostess, this is not a good thing. The pouring of the tea sounds better when the teapot spout is shorter. If you’ve heard the soothing melodious sound of tea being poured, you know what I mean. A long spout means that the pot is cheap inexpensive. You can’t blame tea shop owners for not breaking out the best china. I’m sure teapots often end up broken. Here Kyunghee removes excess water from the pot before preparing another pour. It’s important that no water be left in the pot between pours, or the taste of the tea will be adversely affected. During the tea ceremony, we also learned that the maximum temperature for the water is 90 Cel., and never reboil the water. A tea ceremony is a calm, elegant, soothing experience. 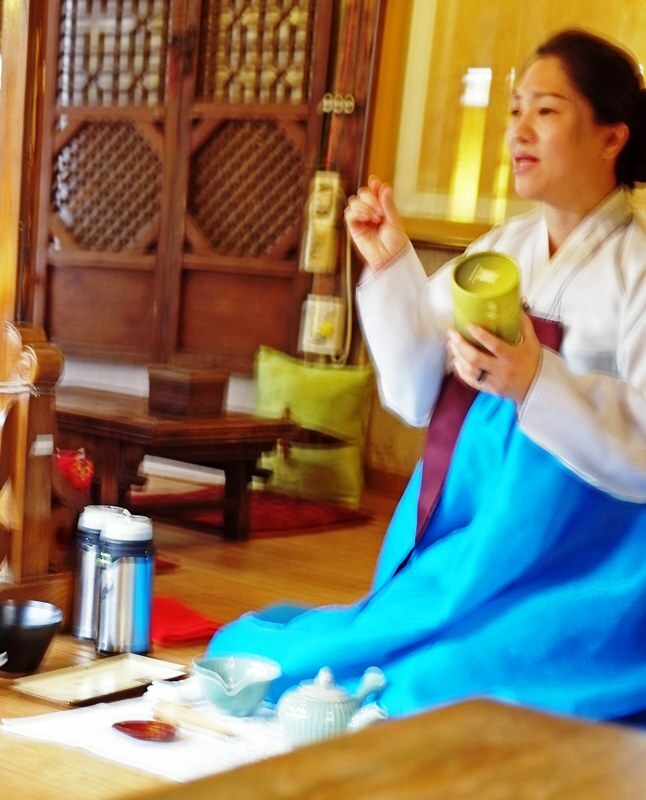 Whether you are in Korea or another Asian country, be sure to experience an Asian tea ceremony when you have the opportunity. After our tea ceremony, we ordered tea from an extensive menu which included quince, jujube, ginger and plum tea just to name a few. I decided on their ssanghwa tea which is a mixture of 12 -14 herbs. Sounds like it would taste like medicine, but no, it was delicious! We were also treated to some Korean sweets. I’m not usually a big fan of Korean cookies, but these were delightful. Directions: Take the subway to Anguk Station, Line #3. Take the Insadong exit. Check the signs in the subway. It’s either exit 3 or 6. Turn left onto Insadong street. The cafe is at the end of an alley off to your right after you walk past the shop Ssamzigil. 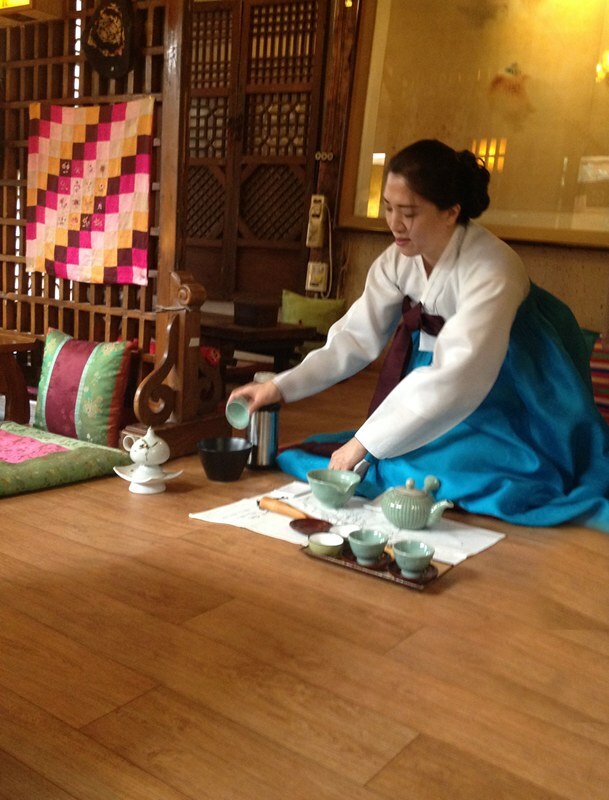 Have you ever experienced a tea ceremony in Korea or an Asian Tea Ceremony in another Asian country? Tell us in the comments. You might also enjoy the post ‘Korean Temple Food’. I love the ceremony that goes with a tea ceremony – ordering coffee (as much as I love it) at Starbucks just doesn’t hold the same allure! Great post Nancie. Sorry I’ve missed the last couple weeks but I was in the land of slow and expensive cruise line internet, I barely read emails! I love these kinds of ceremonies! Hi, Jackie! I agree. 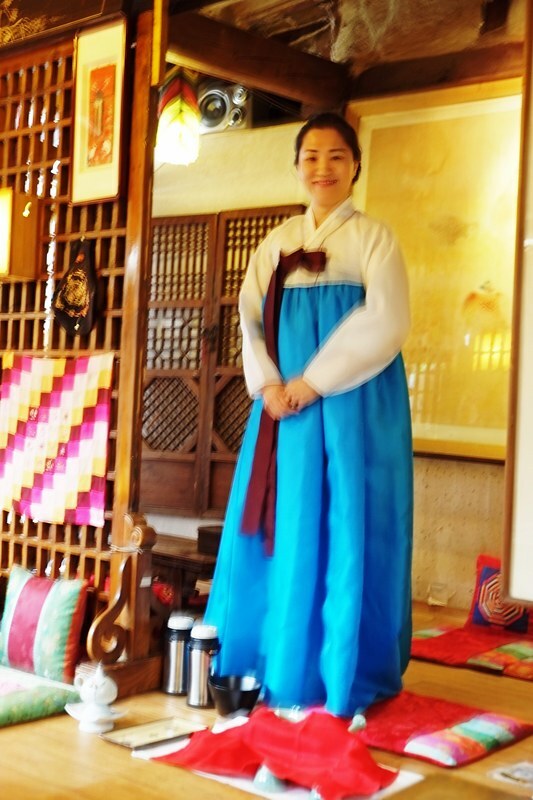 I love the elegance, and with the Korean tea ceremony, it’s a treat to see the beautiful hanbok worn. I haven’t had a chance to try one of these, but it looks very relaxing and memorable, thanks for sharing ! Hi, CT. I think you’d enjoy a tea ceremony. I agree that it was relaxing and memorable. I’ve not tried a tea ceremony but next time I’ll consider it. I would definitely go on a SIWA excursion. Great tip. Hi, Jan! The SIWA tours are excellent! This looks like a lovely experience. I have not been to Korea yet but I would love to go. Hi, Rhonda! Both the tea ceremony and the tea house were lovely. I would love to take part in a traditional tea ceremony. 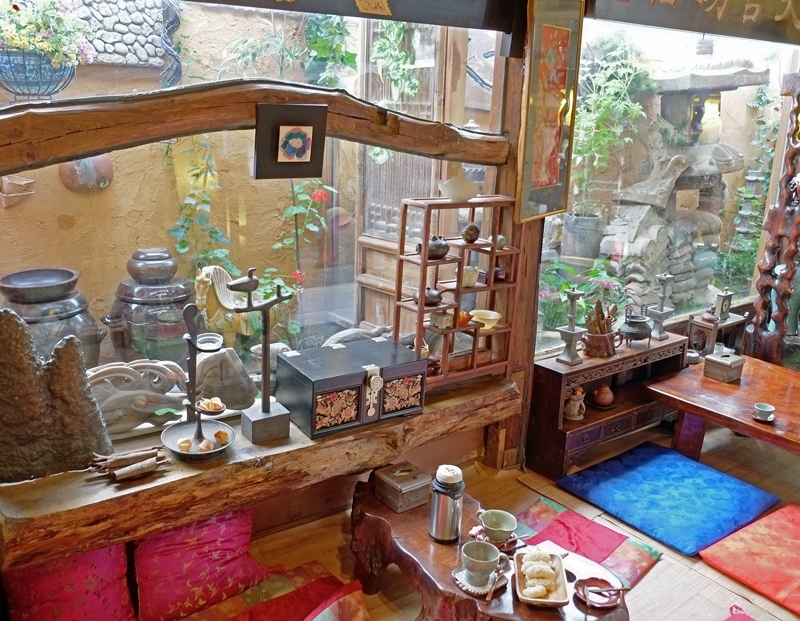 I’m not sure whether I’ll ever get to Korea to do it but I recently visited Japan and noticed that they do tea ceremonies as well. I love a nice cup of tea and some of the tea varieties you mentioned sound very tempting. Hi, Kathy! Japan is just a short skip from Korea if you ever get back. I’ve been to Japan, too, and did see a brief tea ceremony in Kyoto. It was lovely. Nancie, I have not experienced a tea ceremony of an Asian country but I witnesses one here in the States. A lady I know is from Japan and she actually went to a renowned tea school in Tokyo (I am assuming it is not only a tea school but not sure what else is taught there). She performed the ceremony and it was full of details. The best part was the tasting! Hi, Ruth. The Japanese tea ceremonies are beautiful, too. I always enjoy the tea. This looks like such a great experience. Unfortunately, I have never attended a tea ceremony and would love to one of these days. I don’t drink tea but would still like to participate for the whole cultural experience. I learned quite a bit from your post. Hi, Mary. I glad you enjoyed the post. I’d be surprised if you don’t get to experience a tea ceremony in your travels one of these days. 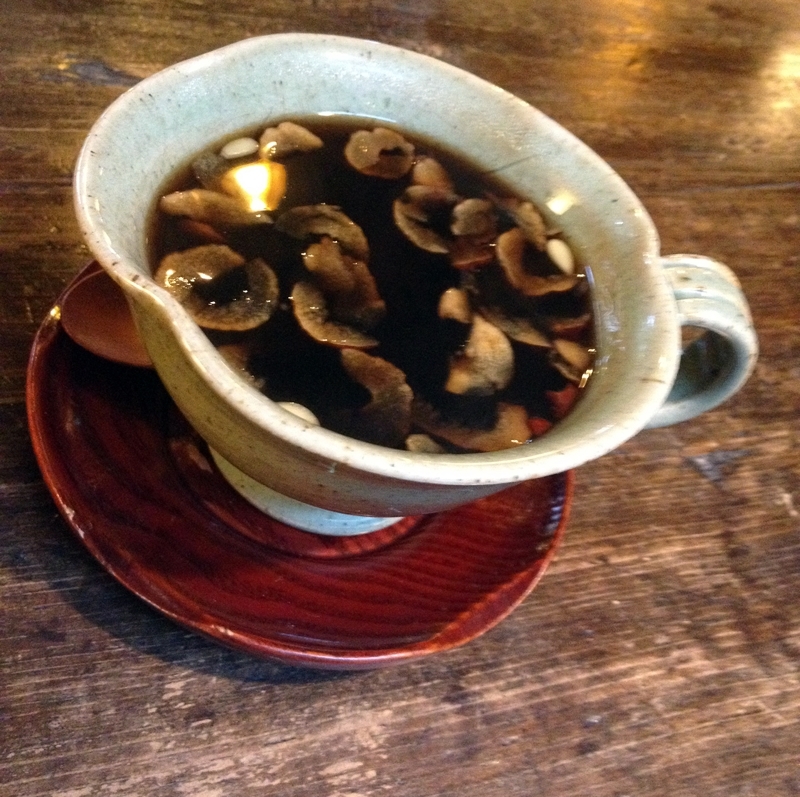 I’d love to see a tea ceremony – if only I liked the taste! It seems like a very calming experience. I really enjoy watching ceremonies or experiencing traditions in countries I visit. My post this week is not really travel but it is international! Happy travels. I had the pleasure of my Malay language teacher leading us through a tea ceremony to mark the end of a year of lessons. The one that you witnessed reminds me a lot of it — certainly much more impressive than my usual microwaved cup of water and a few dunkings of a tea bag. I’ve never tried Korean cookies before. I imagine that, like many Asian desserts, they are nowhere as sweet as what a Western palate is accustomed to. Hi, Michele. Microwaved tea ‘s hard to get excited about! 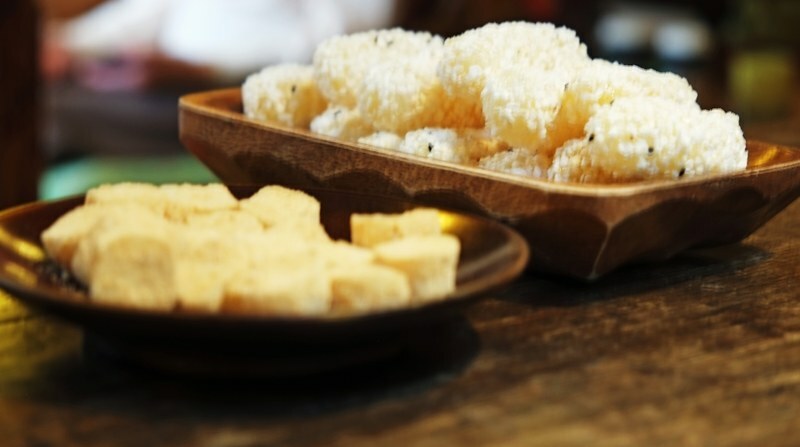  Some of the Korean sweets are sweeter than you’d expect. However, the ones made with rice are usually all air and little else. As a dedicated tea drinker (alas, I’m a barbarian who microwaves the brew!) I’d love to go to a tea ceremony. Who would have known there was so much to learn about tea? Or that the sound of tea being poured is an important part of enjoying the beverage. 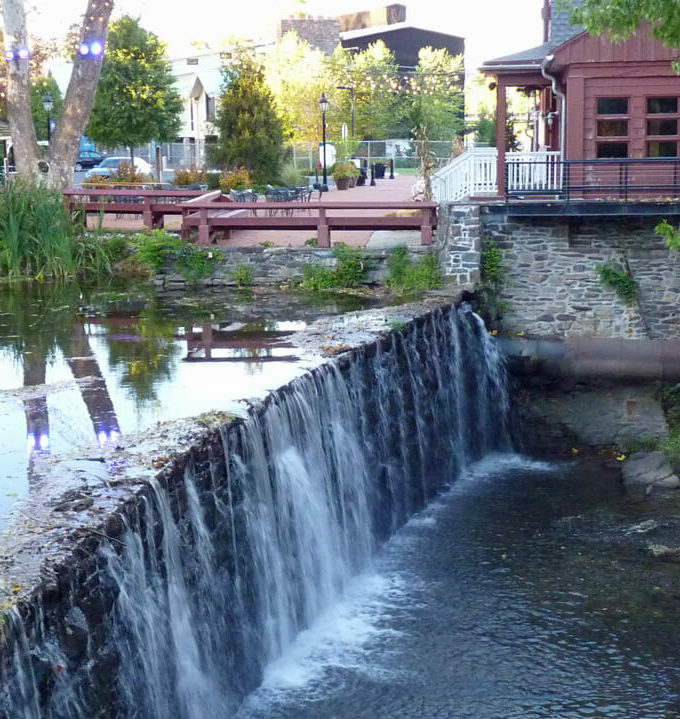 Sounds lovely and tranquil! Hi, Anita! I never drank tea until I came to Asia. My Dad is a tea drinker, and he boils his tea right on the stove. I grew up thinking that is how tea is made and hated it. Learning to drink tea here has made me a tea drinker. I have a pot that I love and always drink my tea out of an Asian style tea cup. The sound of the tea pouring is a big part of the ritual. How awesome! It’s like a science. I had no idea so much goes into making that perfect cuppa. If I am ever in an Asian country, I will surely go and check out the ceremony. Sounds like an awesome way to learn about their culture and customs. These cookies look yummy too! Hi, Kreete. I drink tea every day here in Korea, and I never I tire of it. I love my Korean teapot and matching cups. The tea ceremony is fantastic. Great post! It’s amazing how ceremonial tea can be. In so many countries, tea is celebrated and revered. I love herbal trans so much. 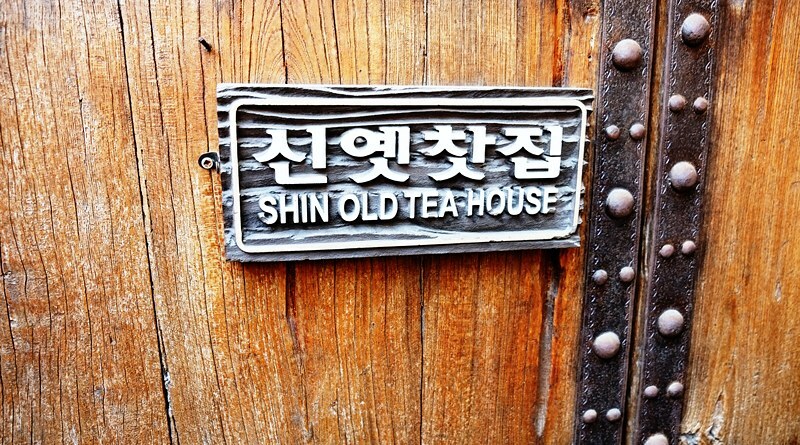 Would love to experience a celebration of tea in Seoul. Thx for sharing. Hi, Doreen. I’ve learned to love tea since moving here. I never tire of drinking it, and I also love the opportunity to partake in a tea ceremony. what an interesting experience! The whole ritual around tea in Japan and Korea seems quintessential to their culture so this seems like a very interesting opportunity to understand it better. Thanks for the tip on SIWA. South Korea looks to be an interesting country. 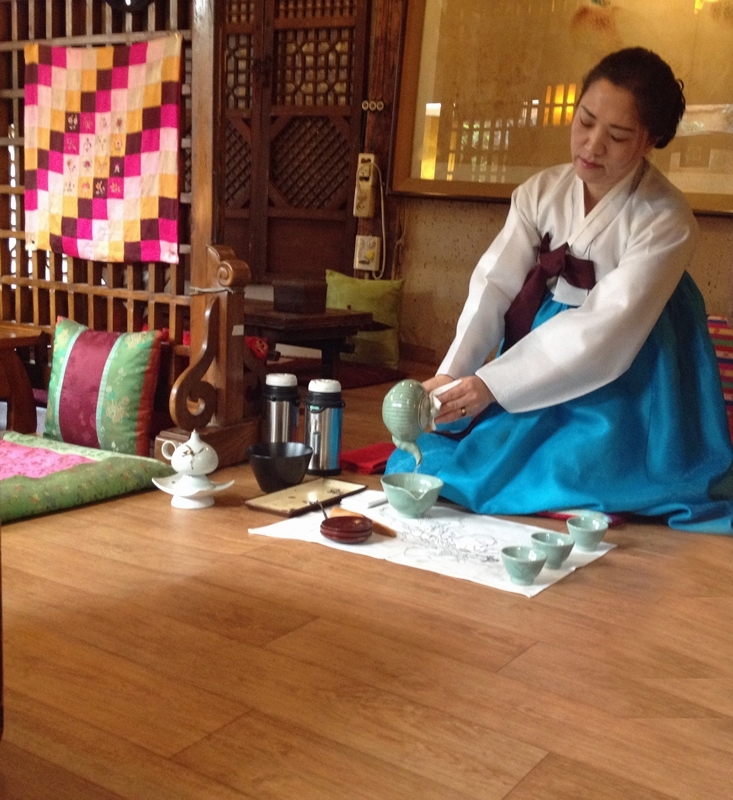 The traditional tea ceremony looks to be a nice break from the very cosmopolitan Seoul.